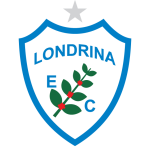 Londrina are in good shape recently in the league with 3 wins and 2 losses in their last 5 league games and in this encounter they come as favorite for 3 points and I think they will exploit in the maximum their ground advanatge to earn 3 important points. They have won 4 of their last 5 home games in the league where they have scored a total from 10 goals and I think they will not have problem to score in this encounter. 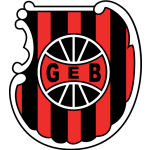 Brasil de Pelotas are in amust win situation if they want to avoid troubles in next weeks in their race for a place in the safe zone because for the moment they holds 17th place with 28 points and they must earn points in this encounter. They come in this encounter after a win with result 2:1 against Sampaio Correa away from home and I think this has bring morale in their squad and I think they will be able to score in this encounter. Londrina have seen BTTS in 4 of their last 5 league games. I expect an open game and goals from both teams especially from Londrina. My pick for this match BTTS at odds 2.25 with 10Bet.